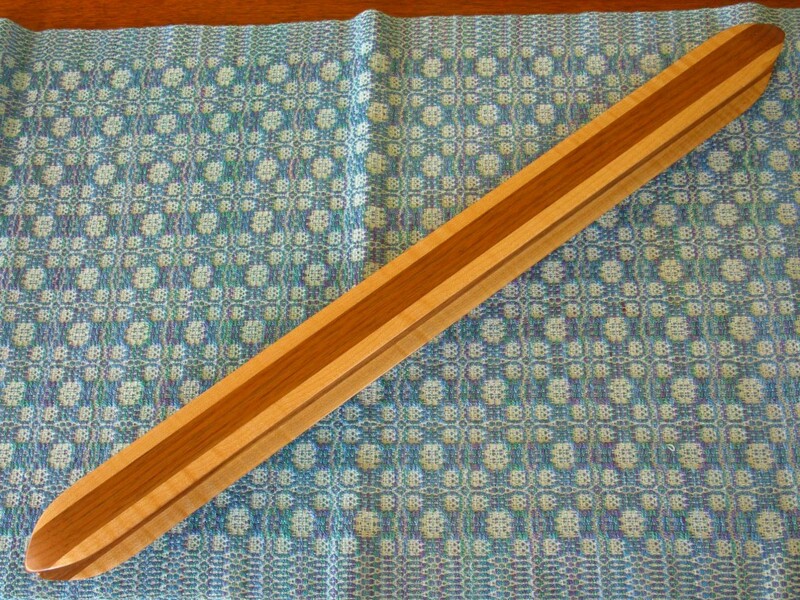 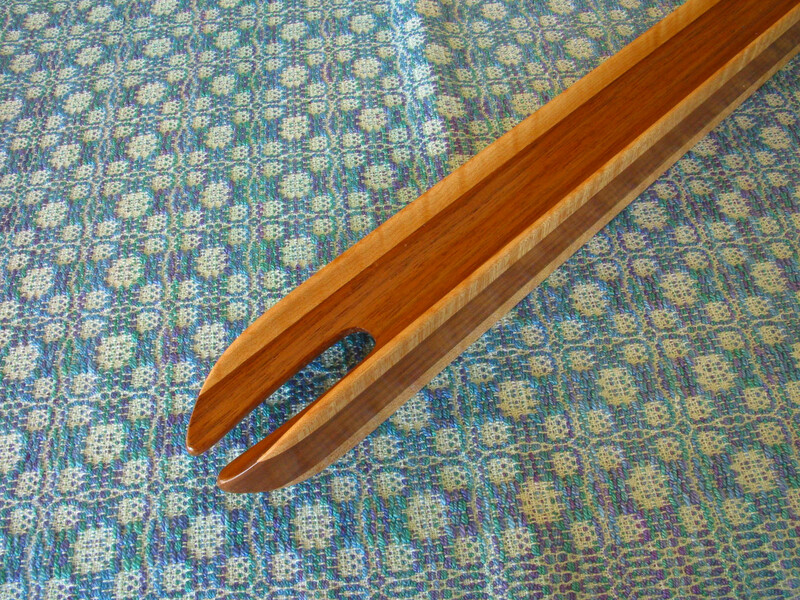 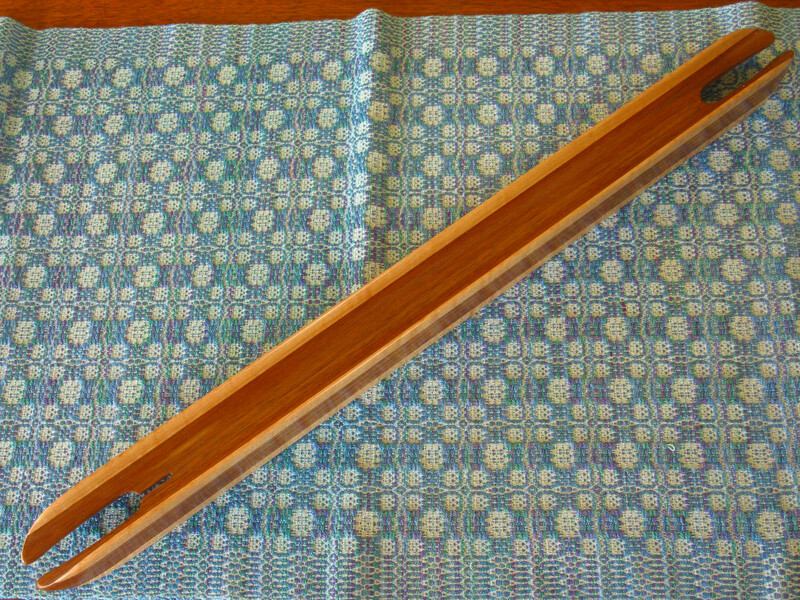 The two rug shuttle samples above (not available) are about 20″ long, and 1 3/8″ width and height. 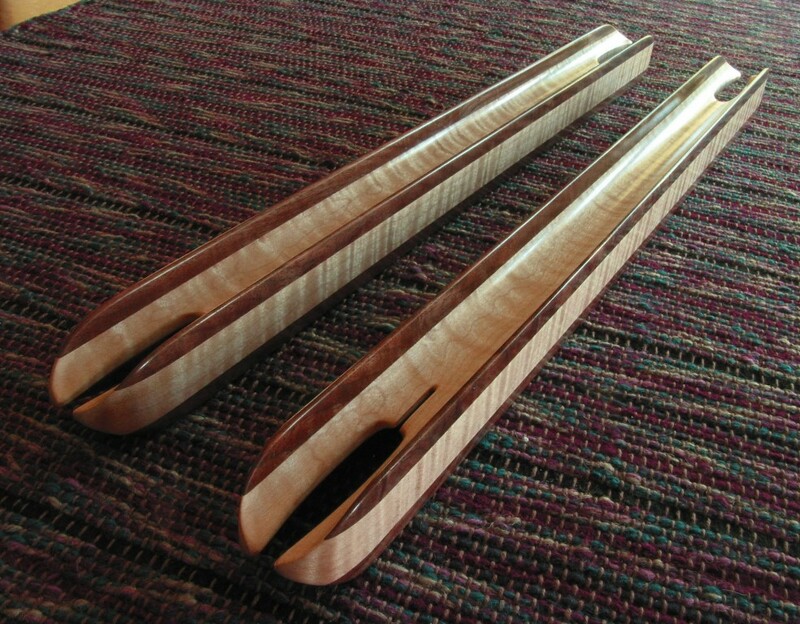 They are strong and light-weight, and made up of 3 – 5 layers of figured hardwoods. They are sanded through 2000-grit sandpaper with 10 coats of finish applied.